SUZI and Vonni pulled off a first on The Blocktagon tonight when they finally realised their vision of luxury glamour. 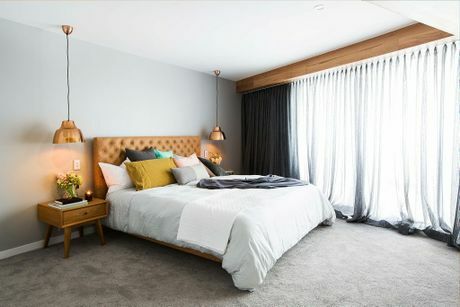 The Gold Coast mums knocked Dean and Shay off the top of the leaderboard, earning the first perfect scores of the series for their dark and moody master bedroom. "They really know how to pull something big out of the bag every week, don't they?" judge Neale Whitaker said. "It feels like a gentleman's club; I love that. "This is a room where I want to pour myself a whiskey, curl up on that bed and read and not leave." It helped that earlier in the week the mums had won a bedhead challenge, giving them an extra $10,000 worth of cabinetry for their walk-in robe. "Where we go from here? The sky's the limit," Vonni said of the much-needed $10,000 top-up to their funds. Fellow Queenslanders Kingi and Caro came second for the third straight week as they continued their urban theme with more rendering and graphic, colourful art. 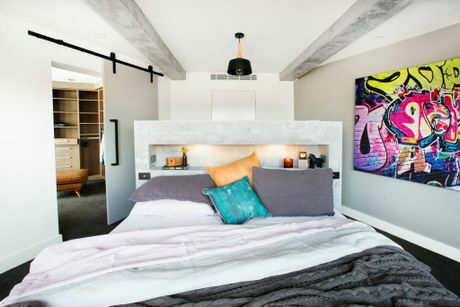 The Townsville parents impressed the judges as the only team to build a stand-alone headboard, rendered by Kingi, so their bed faced out to the views of the city. "This is really cool," Whitaker said. "They've taken that reference to Melbourne they've been making and moved it on in a clever way." The only negative the judges could find was the unnecessary pendant light over the bedhead. 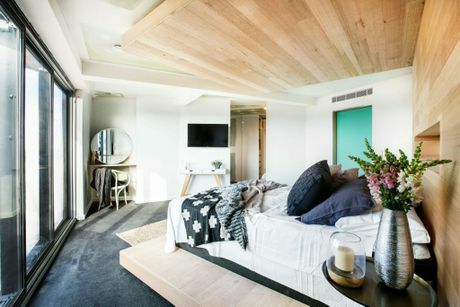 The winners of the previous two weeks Dean and Shay finished third after producing a "safe" master bedroom which followed the same styling formula as their guest bedroom. 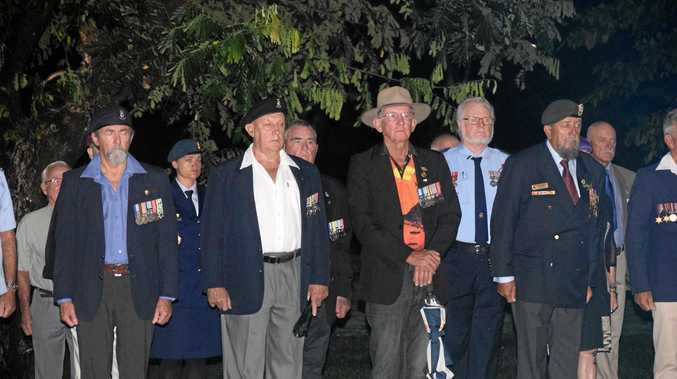 "For the master it needs to be so much more sophisticated; this is safe," judge Shaynna Blaze said. Whitaker added: "Nobody is going to walk into this room and say 'I don't like it', but is anyone going to go 'wow'?" The Newcastle couple was praised however for their beautifully symmetrical walk-in robe, which created a nice flow between the bedroom and bathroom. While WA siblings Luke and Ebony managed to get off the bottom of the leaderboard, they are still struggling to find a style for their apartment. 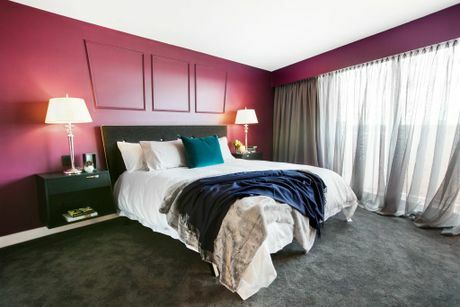 While the judges agreed the team had produced a sophisticated master bedroom using exotic colours, it didn't match the walk-in robe or master bathroom. "I don't think that bathroom matches that bedroom; I don't think the bedroom matches the wardrobe," Blaze said. "I feel like they're three separate rooms that haven't been thought about as one space." Melbournites Andrew and Whitney came last after not finishing their master bedroom or walk-in robe. The young couple continue to struggle with time management as they learn the ropes on the building site. They had hoped to impress with a large Scandinavian timber bed frame. "What a shame they had this big idea that they haven't been able to finish; this would have been really cool," Whitaker said. "We're basically looking at 50 percent of what might have been." This upcoming week the teams will renovate their final guest bedroom and en-suite. Career change on the cards for The Block's Caro?